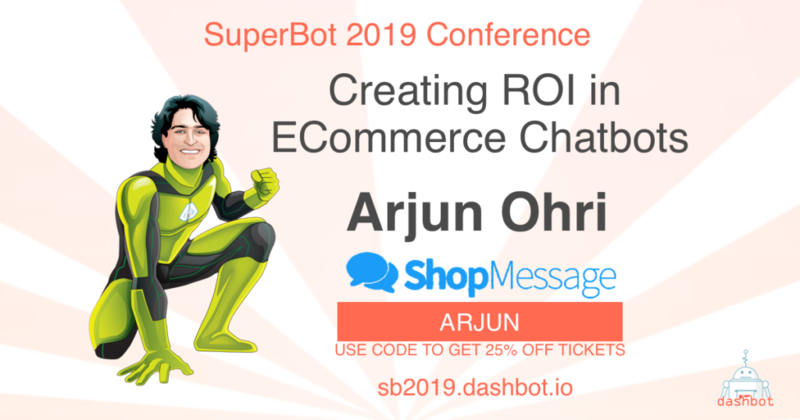 We’re thrilled to have Arjun Ohri, CEO of ShopMessage, joining us at SuperBot 2019 to share his insights on monetization in the conversational AI space. Arjun Ohri is the CEO and Co-Founder of ShopMessage, the premier Facebook Messenger bot platform for e-commerce. At ShopMessage, Arjun’s goal is to enable merchants of all sizes to drive sales and build customer loyalty via chat.